Employee states that it won’t turn on. 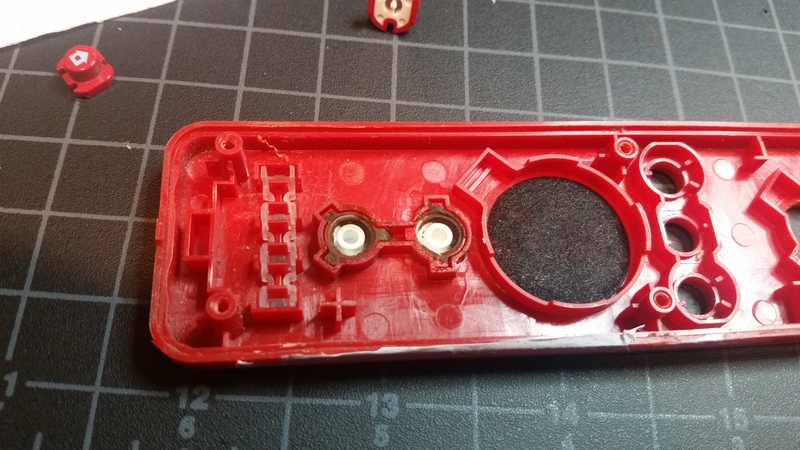 Betcha the battery contacts are either corroded, dirty, or damaged. It’s always nice to start with an easy win. You should take the batteries out of your electronics when you’re not going to use them for a while. 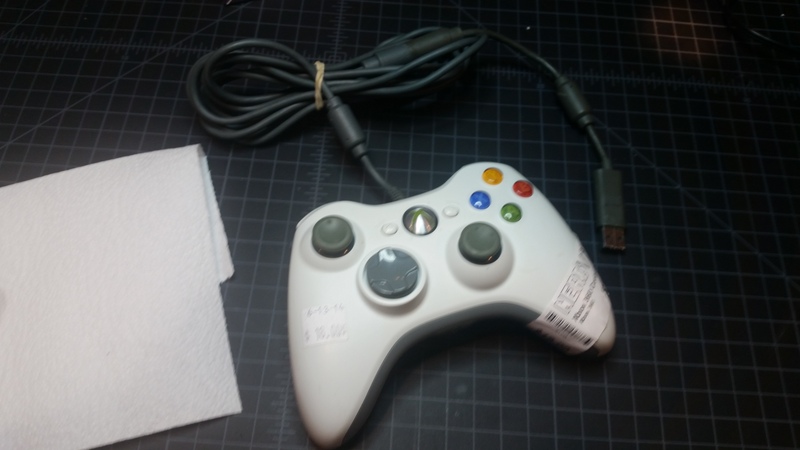 Employee note says that this wired 360 controller doesn’t power on. Let’s take it apart and see what’s going on. 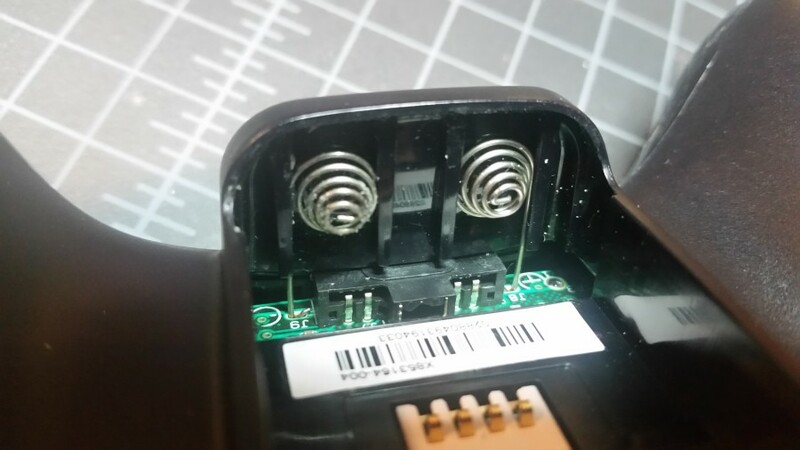 Mr. Multimeter says that we’ve got continuity from the USB end all the way to the four contact points, so the controller is getting power, it’s just not doing anything after. 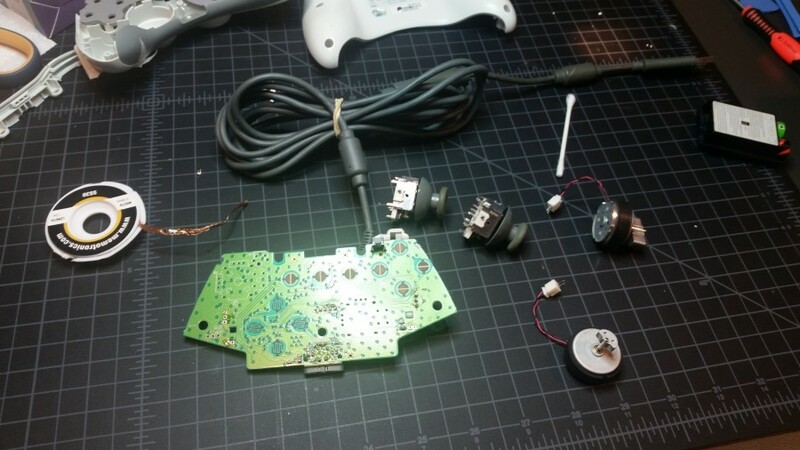 That officially puts it in the “too much trouble” category, but I’m feeling froggy, so I remove some of the more common failure components for repairing other controllers or for other projects. 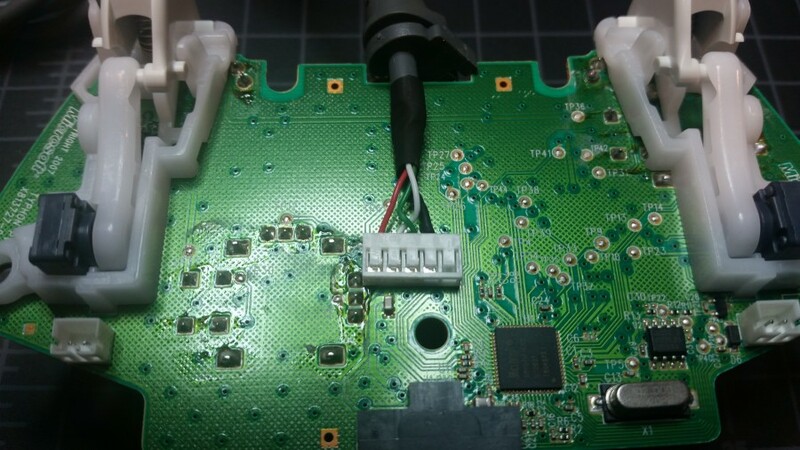 The harvest is two clicky joysticks, two vibration motors, and a shoulder button, removed only because it was in the way of one of the joysticks. 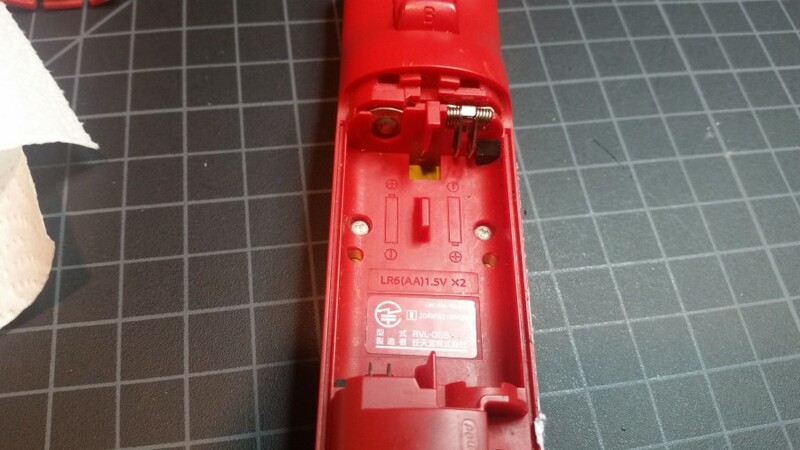 The oft-misplaced breakaway part of the cable will go back to the store. The rest goes into the bin. We’ve got TONS of leftover Xbox 360 hard drives, but they’re all for the first-generation fat systems, instead of the newer slim models. A lot of fat 360 consoles died to the Red Ring of Death, so there’s a surplus of power supplies and hard drives out in the world. We buy them for very little but there’s not much demand for them at any price. In the land of more modern hardware, however, users are so hungry for hard drives for their 4gb 360 slim consoles that they’re willing to pay $65 for a 320gb upgrade. 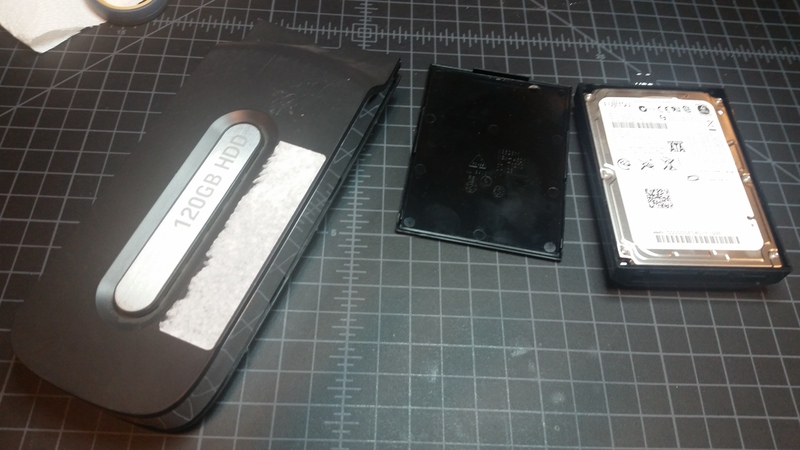 With a $4 enclosure bought from China, the 2.5″ hard drives from the old fat enclosures work just fine in the newer systems. I’m asking $45 each for the converted hard drives. I bet we sell a bunch of them as folks realize that they should have listened to our warning about buying Grand Theft Auto V (which needs hard drive space) with a system that didn’t come with a hard drive. I made four. If they sell well I’ve got another dozen to convert. 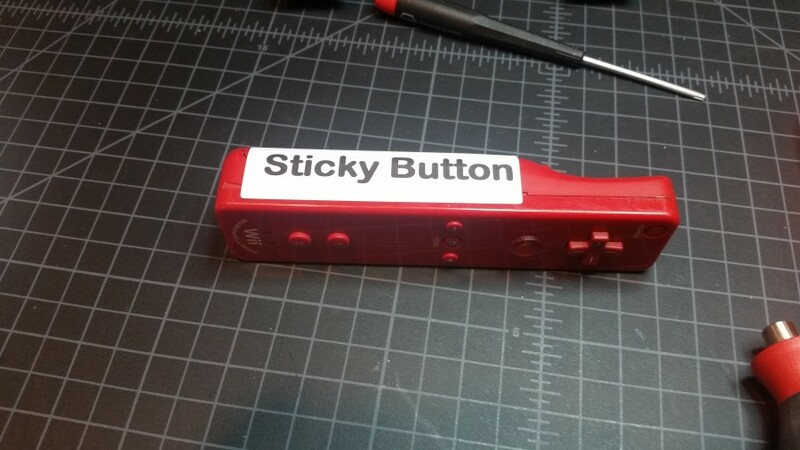 Employee states that the left bumper button isn’t clicky. Examining the white buttons, I can see the problem. Can you? 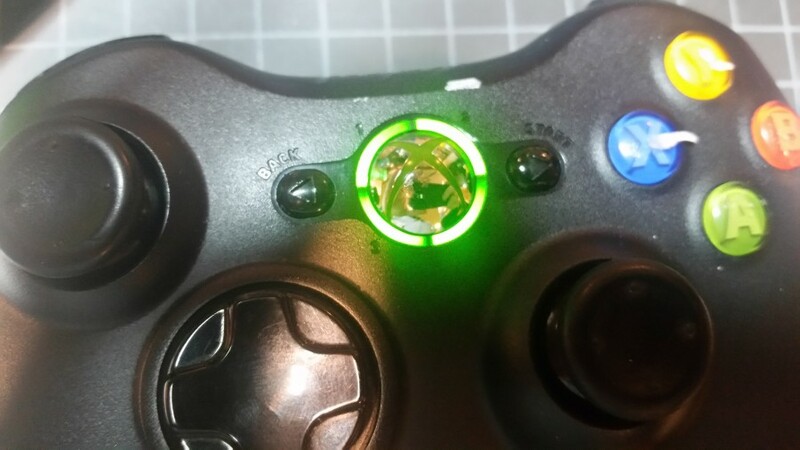 The left button still clicks, but it’s about a millimeter shorter than the right button, so the shoulder button doesn’t fully engage it before being stopped by the body of the controller. 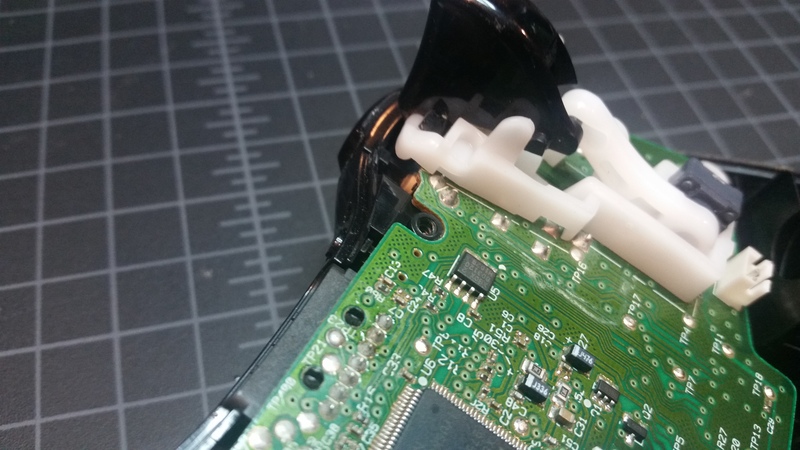 Now, I DID just salvage a shoulder button from another controller, but replacing it is going to mean desoldering the left trigger assembly, desoldering and replacing the button, then re-soldering the trigger assembly. 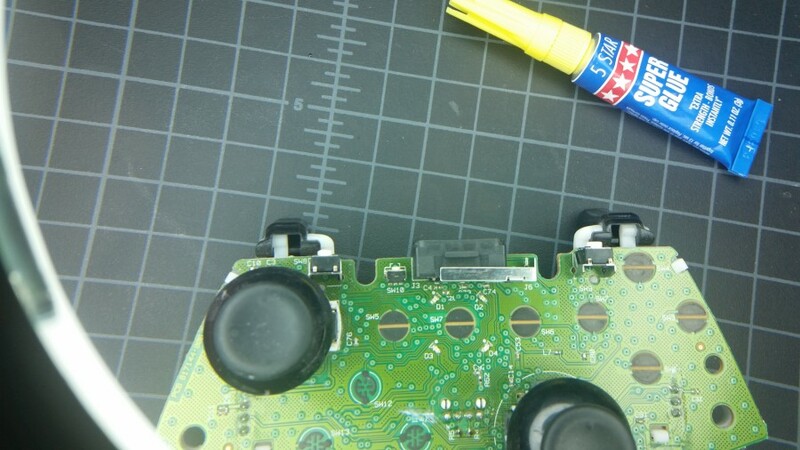 That’s a lot of trouble for a $30 controller, and every thing that you monkey with is one more thing that can go wrong. I decide to try the easy solution first: I put a dab of super glue on the button, wait a few hours, put another dab on, and let it sit out overnight, propped upright in my board holder. Looks like that added the correct amount of height to the button. 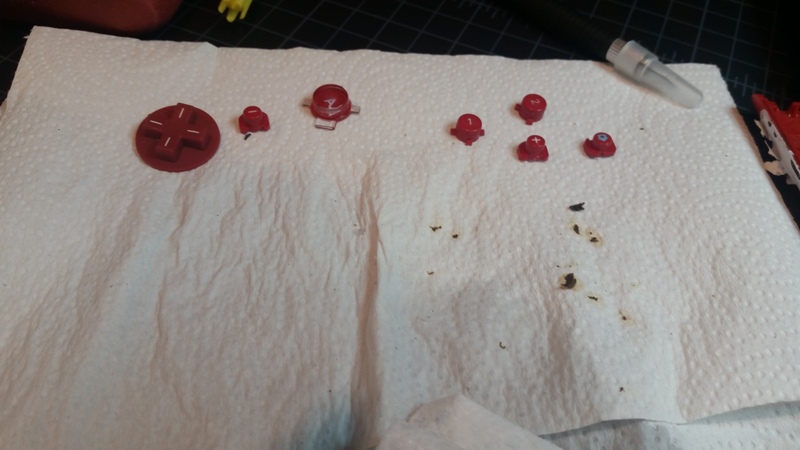 I also replace the thumbsticks while I’ve got it apart, because the old ones looked pretty tired. That seems to do the trick. After assembly, the left and right bumper feel identical. 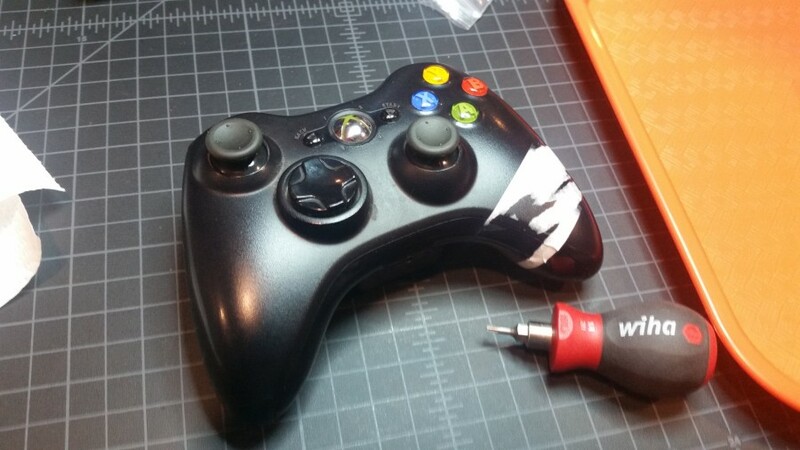 I’ll keep an eye out for this one to come back, but I think it’ll be a solid repair. 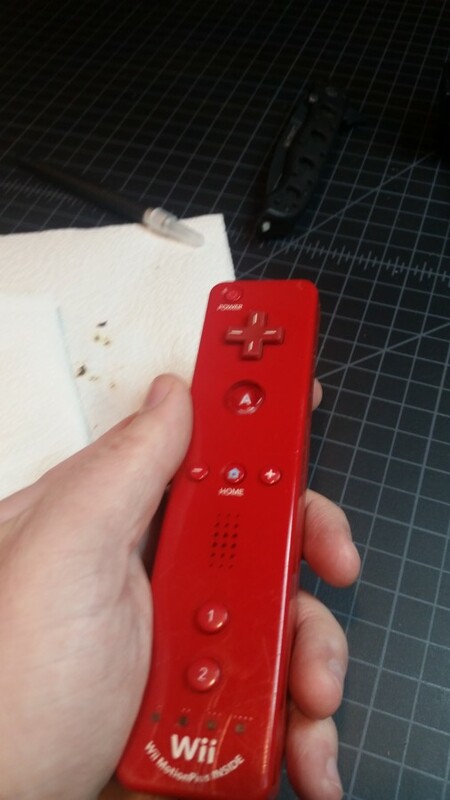 Employee states that there’s a sticky button on this Wii remote. 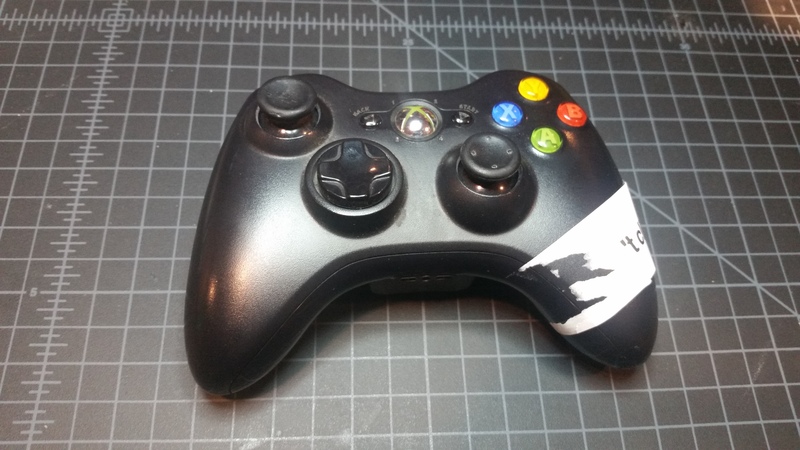 My observation is that ALL of the buttons are sticking when you press them. It’s probably just some spilled liquid. 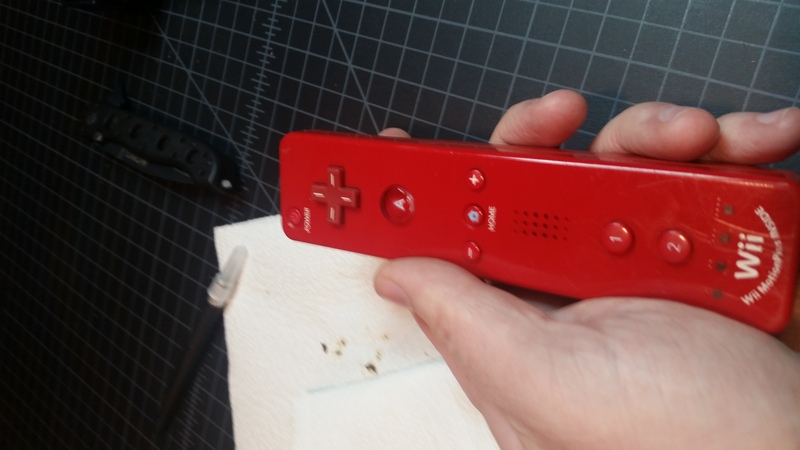 I haven’t done a Wii remote before, so we’ll give it a go. My normal tri-wing bit from my security bit set gets these two screws just fine, but there’s two at the bottom that are deeper inside the case. In a pinch, you can use a 1.5mm flat-head screwdriver, as long as you’re careful. Once the screws are out, you can use a flat tool like the iSesamo to get at the latches inside the case and release it. 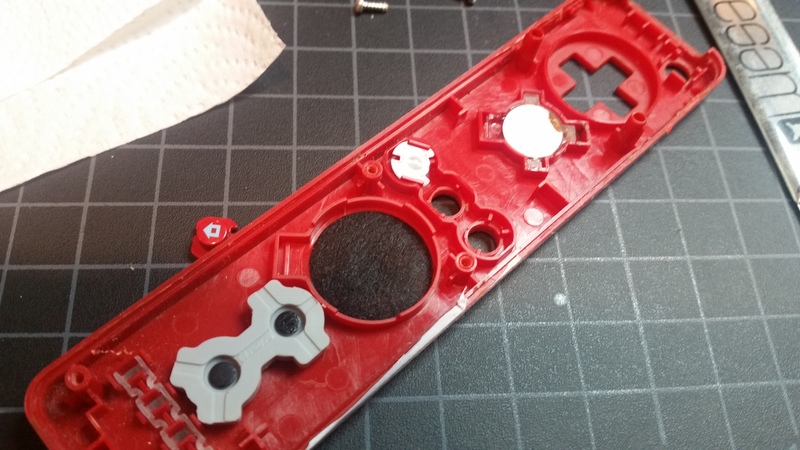 I remove all of the buttons and clean them with alcohol. YUM. Back together, and good as new! 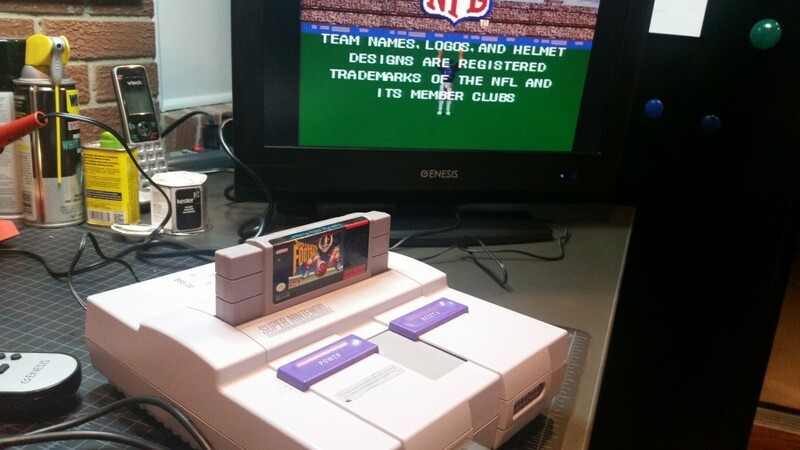 Super Nintendo in the returns cabinet with no note on it. Seems to work great for me. I have GOT to get a better game than Play Action Football to test with. Employee note says that there’s a glitch that causes menus to disappear. Now THERE is an interesting failure! 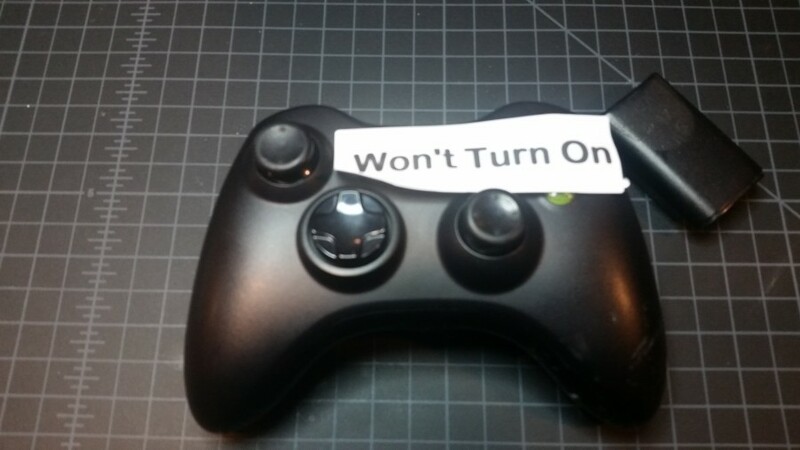 Sadly, it seems to work fine. The culprit was likely dirty contacts on the game that was played, but it’s impossible to know if the lackey reproduced the problem on his own, or just took the return, issued a replacement or store credit, and sent the customer on their way. December was busy. I’ll ask a lackey to test two or three other games to see if they can reproduce the failure. If not, back onto the shelf it goes. 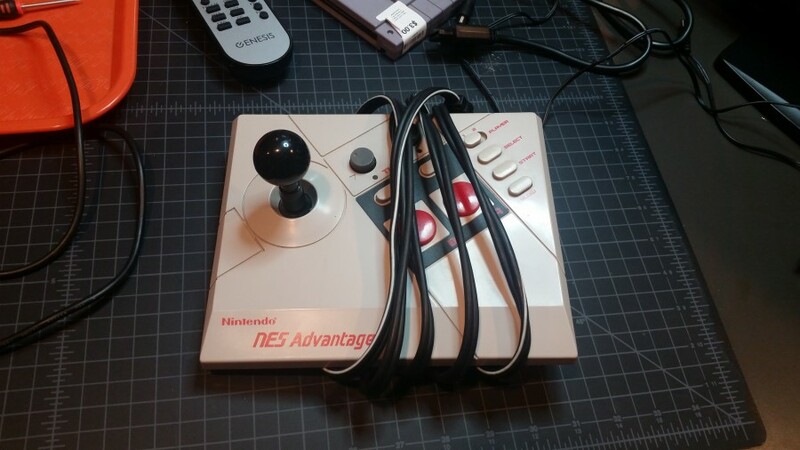 NES Advantage controller with no note. 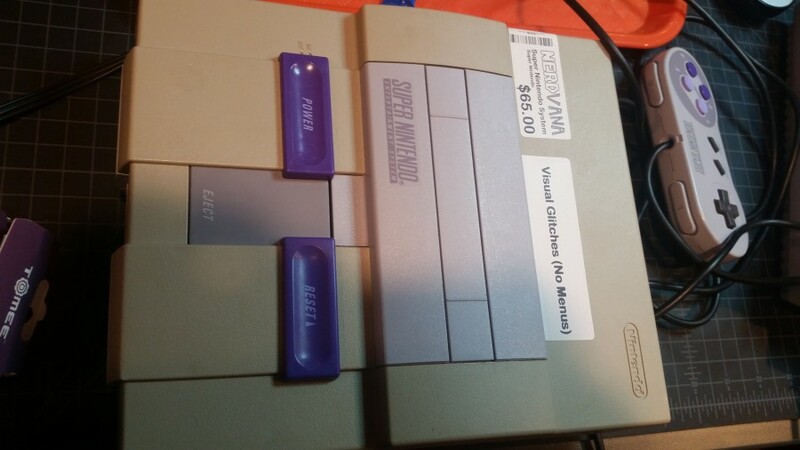 All buttons work fine for both player 1 and 2. Anticipation is one of the worst NES games I’ve ever seen, and we’ve got dozens of copies of it. I should turn some of them into Raspberry Pi cases or something. That’s all for today. 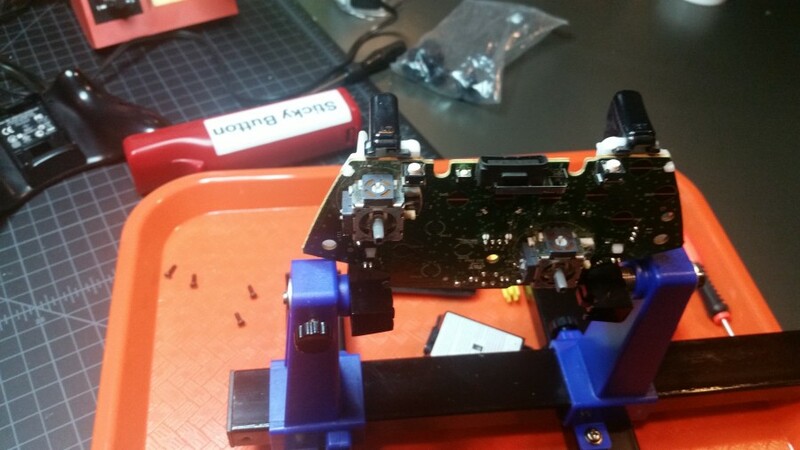 Some of the less-technical diagnosis and repair should be happening in the store instead of my workbench at home, but my employees have been absolutely slammed with holiday traffic this year, so this is my way of taking some of the burden off. As things return to normal, they’ll be doing more of this stuff. I hope that this is at least mildly interesting. I think that most of it is pretty boring, but my friends are telling me that they like looking at old gaming stuff and watching me tinker. I guess I’ll keep it up until the affirmation stops flowing. 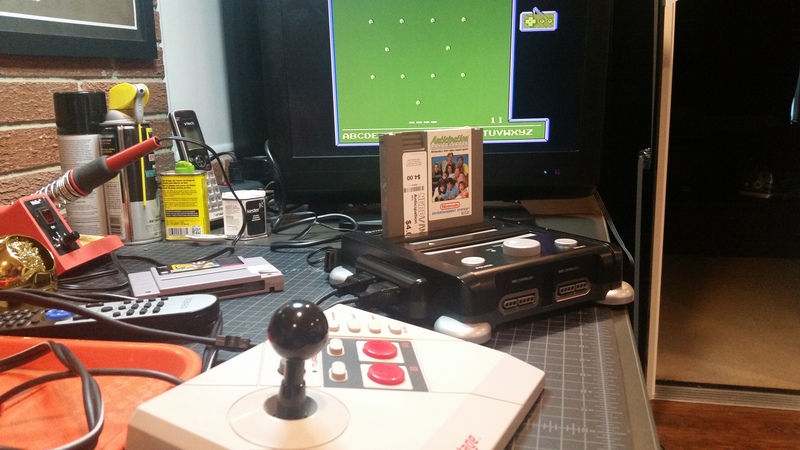 I want a copy of Anticipation for NES that has a Raspberry Pi in it that can feed game roms into the NES on the fly!